Royal Caribbean's Splendour of the Seas is the next ship in its fleet to receive a "Revitalization" upgrade. Splendour will begin a five-week upgrade process when she docks at the Navantia ship yard in Cadiz, Spain where $35 million in changes will occur. Splendour of the Seas will wrap up her upgrades on November 25, when she will sail to Brazil to her seasonal homeport of Sao Paulo. Royal Caribbean is celebrating again and this time double dose. In the voting of the 2011 Best of Travel and Tourism, the Oasis of the Seas was voted by readers of the magazine as the best cruise ship. Besides the choice of Oasis of the Seas, Royal Caribbean also received the award given to the Splendour of the Seas, the Top of Mind award, which means recognition for a large number of awards received by the ship. "We are very proud of the result," celebrates Ricardo Amaral, director of Royal Caribbean to Brazil, Latin America and the Caribbean. Oasis of the Seas, opened in 2009 was voted by readers who have traveled this year and could check the structure offered by the ship. Already Splendour of the Seas received the Top of Mind award after being voted the best cruise ship for six times. Royal Caribbean's Splendour of the Seas, which arrives on December 9 on the Brazilian coast, will have two routes in the northeast of Brazil. The new destination of choice is the city of Maceio. 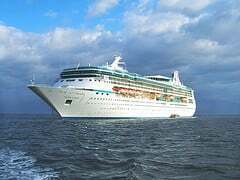 With seven-night and out of Santos, the Splendour of the Seas will make stops in Salvador and in the capital Alagona. There is also an itinerary for seven or eight nights, with stops in Buenos Aires, Montevideo and Punta del Este, and also mini-cruises of three, four and five nights, with esclas Buzios, Ilhabela, Porto Belo, Ilha Grande and Cabo Frio. During the season in Brazil, Splendour of the Seas will conduct a total of 21 cruises. Royal Caribbean's Splendour of the Seas will go into dry dock in November as the next the target of a near fleet-wide revitalization at the shipyards in Setúbal, Portugal. The news comes from Royal Caribbean director Francisco Teixeira. Work on Splendour of the Seas will take 20 days and fall under the fleet modernization plan that the company has launched this year. The improvements in the fleet are designed to introduce some of the improvements that were developed for the Oasis and Allure of the Seas. After leaving the Portuguese shipyards, Splendour of the Seas will head to Brazil to go back into service. Spanish ship building company Navantia will use its Cadiz shipyard for Royal Caribbean's modernization program known as "Revitalization Advantage Program" for the Splendour of the Seas during the month of November. Navantia's work will include the installation of a 'ducktail' to increase stability, modification of more than a hundred cabins to install new balconies, wings spread bridge, as well as a complete renovation of all cabins, restaurants, spa and shopping areas. As a result of these works "will increase significantly the standard of accommodation of the ship." In addition to the work of remodeling the qualification, work is carried out regular stranding improvement works including rudders, propeller shafts and tail. The work ensures "a high level of workload" for the template for four weeks and is "a major logistical effort" by the shipyard, which will manage more than 400 containers of material in a short period of time. Royal Caribbean plans to assign similar programs for four other ships, two of which are already signed to the Cadiz shipyard for the next year. Royal Caribbean will offer options in the 2011/2012 season to perform weddings onboard their ships that sail from Brazil. The bride and groom may hold the marriage ceremony on the Splendour of the Seas or Vision of the Seas, with three different package options: the Royal Happiness, the Royal and Royal Romance Eternity. The symbolic ceremony lasts approximately one hour and is performed by one of the officers while the ship is moored in one of the authorized ports - Santos, Rio de Janeiro or Salvador. In addition to the guests who may accompany them on the cruise, the couple can invite up to 40 guests not to attend the celebration and reservations must be made up to two months in advance. The partners Bedaque Marina Barbosa and Tamara were responsible for all training of the crew that will perform the symbolic ceremony. There is also the choice of suppliers - as a band, cake and favors - enclosed in the package. 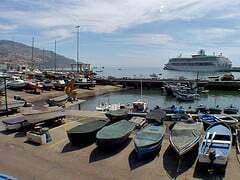 Royal Caribbean's Splendour of the Seas could not dock in Piraeus, Greece as a result of the continuing strike among taxi drivers in Athens, Greece. Instead, Splendour of the Seas made a stop in Heraklion, Crete after making a port call in Chania, Greece. Splendour is the second Royal Caribbean ship in a row not able to dock in Piraeus after Voyager of the Seas skipped the port on Monday. Royal Caribbean is planning a spending spree to upgrade its fleet of cruise ships over the next three years to help keeps its older ships competitive in the cruise market. There's more planned but no details are available quite yet. These changes sound quite similar to the changes that have already been made to ships such as Radiance of the Seas mostly recently. 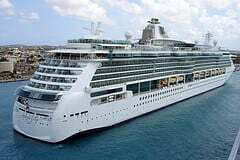 We know that the overhaul for Splendour, Grandeur and Serenade of the Seas will take place in Cadiz, Spain after Royal Caribbean signed a deal to have those ships rehauled there last month. Royal Caribbean also mentioned that Independence of the Seas, Mariner of the Seas and Enchantment of the Seas will receive smaller, less significant upgrades. Royal Caribbean CEO Adam Goldstein is excited about the changes that will help keep the cruise line competitive, "The Royal Advantage revitalizations takes many of the best features that we have created in recent years and introduces them across our fleet, offering our guests enhanced vacation choices around the world."